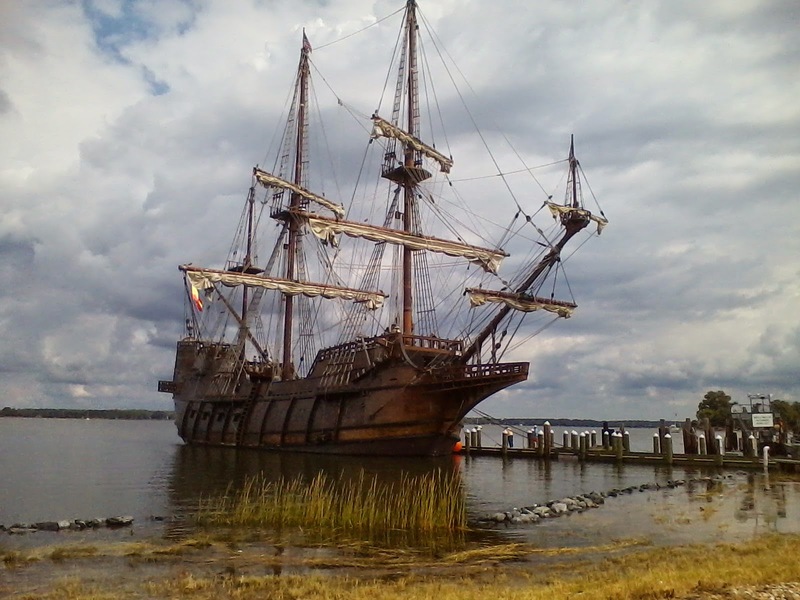 El Galeón Andalucía is the only galeón class vessel in the world sailing today and docks in Oxford, Maryland September 17-19th! You don’t want to miss this free public event, so come on down to the Ferry Dock in Oxford and take a stroll back in time. 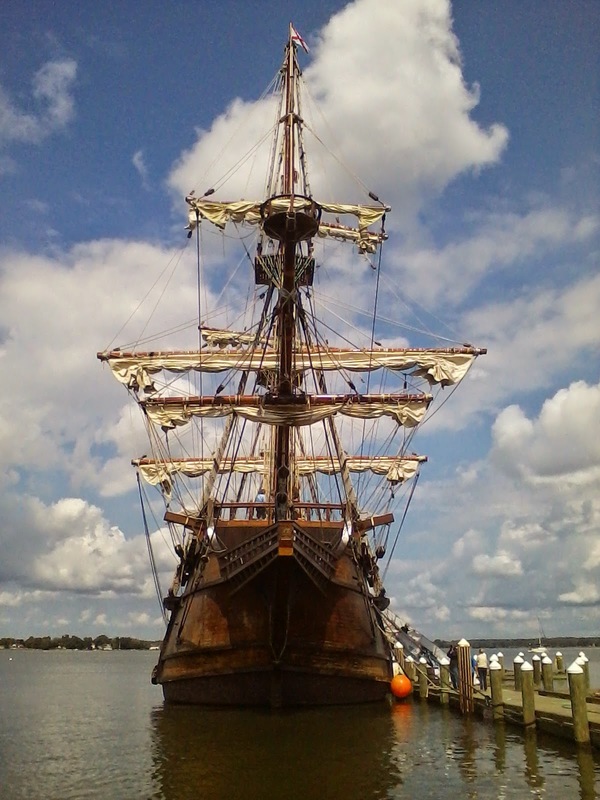 The El Galeon tour is a self-guided walking tour of the ship, soon to be docked next to the ferry in Oxford, MD. Once aboard, you are free to roam above and below the decks (5 total), talk to the current crew members (real sailors living on board), and absorb dozens of interactive exhibits, videos, historical documents and displays. There is no time limit for your tour, and photos are welcome. Children of all ages and small, carry able dogs are welcome aboard! Come share the passion and awe of working and living aboard a legendary vessel to our past! There is no cost for the tour in Oxford, but donations are greatly appreciated! The galeón class vessel was an ocean going ship type that evolved from the carrack in the second half of 16th century. Galeóns were constructed from oak, pine and various hardwoods for hull and decking. Hulls were usually carvel-built. Hundreds of expert tradesmen, including carpenters, blacksmiths, shipwrights and pitch-melters worked day and night for months to make a galeon seaworthy. To cover the expense, galeons were often funded by groups of wealthy businessmen who pooled resources for a new ship. Therefore, most galeons were originally consigned for trade, although those captured by rival states were usually put into military service. The most common gun used aboard was the demi-culverin, although gun sizes up to demi-cannon were possible. El Galeón was featured in the NBC mini-series Crossbones that starred John Malkovich as the legendary pirate Blackbeard! Since her debut on U.S. television, the ship has become well known and has attracted a following during her tour of the East Coast of the United States. Travel back in time 500 years when you step on board these magnificent ships and experience first hand what it was like explore the World in the 16th century!